You see glimpses of it every time you read a conversation stream on a social networking site: friends of friends. You reply to a status update or post a tweet, and you’re introduced to the people who are connected to someone in your social circle. These far-reaching connections begin when you set up a profile for people you know – or want to know – in Nimble. You can take their names or email addresses and start researching them, often by letting Nimble find their Twitter and LinkedIn pages. These two sites are probably the most productive places to start. Twitter, because most people like to build up their stable of followers, and LinkedIn, because many profiles are public. You can learn a great deal from both. Armed with this information, you can approach those people who look like potential customers and begin to engage them. But don’t let it stop there. Every time you generate a lead for your business, you should not only look at that prospect but also his or her network. Using Nimble’s social streaming and messaging tools, you can find both their followers and the individuals they’re following – their circle of influence. By watching and listening to their interaction, you’ll begin to understand who they are and what their needs might be. Nimble can help you jump-start new relationships. 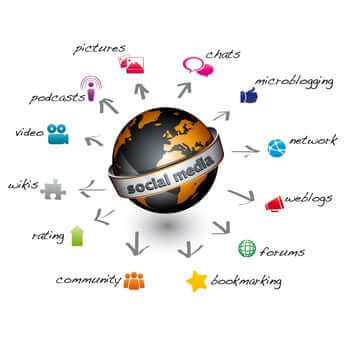 It can locate the places where prospects reside in the social universe and help you observe them. Sure, you can accomplish some of this by visiting individual sites. 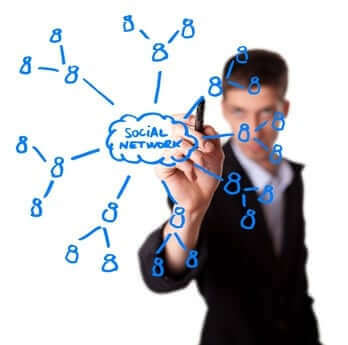 But Nimble creates a unified profile for your contacts that contains their social streams and any communication and events and people that you share. Let’s say you sell sporting goods to retail outlets. You have a friend who often launches sports-related threads, which are frequented by retailers. •	Make yourself visible and position yourself as a friendly, helpful, knowledgeable contributor. •	Become a trusted member of the community. Nimble lets you bring in potential prospects and document your interaction. Interested prospects know how to find you (though there’s nothing wrong with simply providing a link to your blog or website in your signature line) and Nimble can help you track your leads. This positioning of your online persona can snowball. Make one customer happy, and he or she may give you a public shout-out. Other people will retweet and share your content, extending your reach even further. If your sales cycle happens to be stalling, this may well tip the balance in your favor. If you’re working within a specific vertical industry, this method of selling can be particularly effective. As you gain credibility, you can establish relationships and engage with the key influencers in a given marketplace. This kind of trust can make you the go-to person, or at least one of them. Nimble can be an efficient sales assistant along the way, managing your relationships as your networks grow exponentially.